Reaction balls are designed to be thrown and will create move in an unpredictable direction to help sharpen your reactions. So when bounced off the floor or wall, the reaction ball rebounds in an unpredictable way with no two bounces ever being the same. Great for improving hand-eye co-ordination, chasing the ball will also develop speed and agility, increasing dynamic core strength. 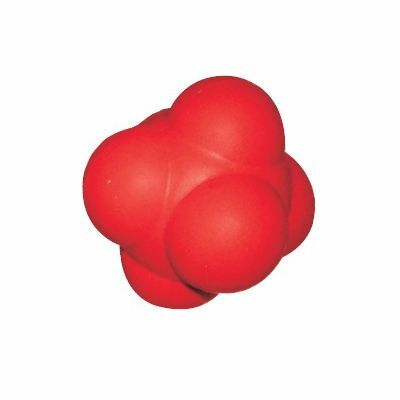 This is our 10 cm uneven surfaced solid rubber reaction ball which produces erratic and dramatic bounces, it may look like a toy but its a highly valuable training tool for any sports where you wish to improve reaction times. Also available in a 6.5cm version. 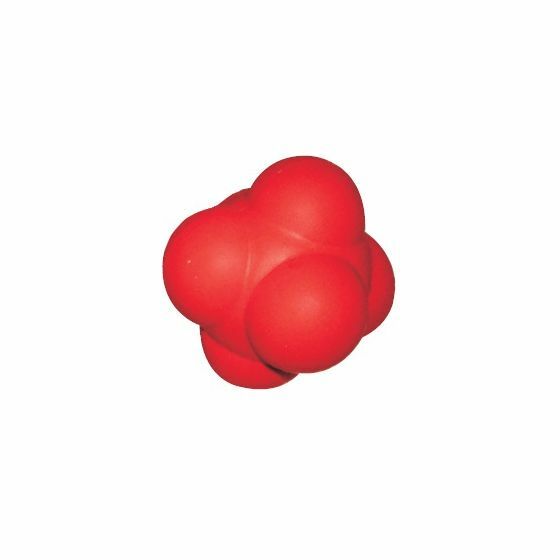 This is our 10cm reaction ball it really speeds up your response times to chase/catch the ball, when bounced off the floor or wall the reaction ball rebounds in an unpredictable way with no two bounces ever being the same. Use by yourself, for extra"chaos" have a training partner.